The Solar System Mini Poster: It's one small step for man but one giant leap for mankind with this out of this world poster! 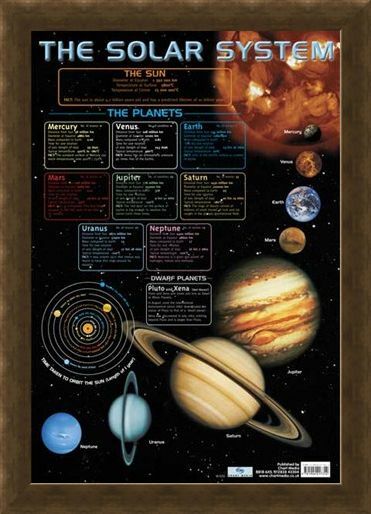 Jam packed with everything you will ever need to know about our solar system, including beautiful images, diagrams and facts. 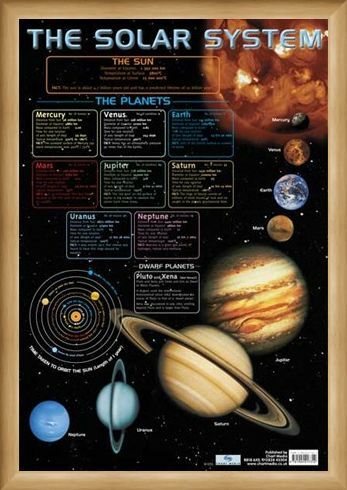 There is information about all of the planets, Mercury, Venus, Earth, Mars, Jupiter, Saturn, Uranus, Neptune and the dwarf planets including Pluto, as well as the Sun. 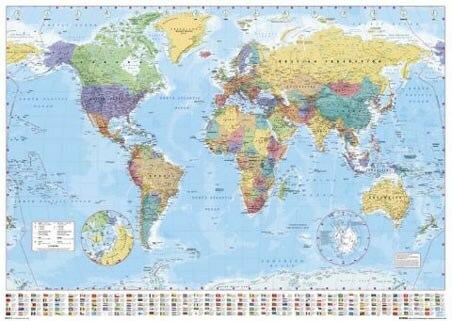 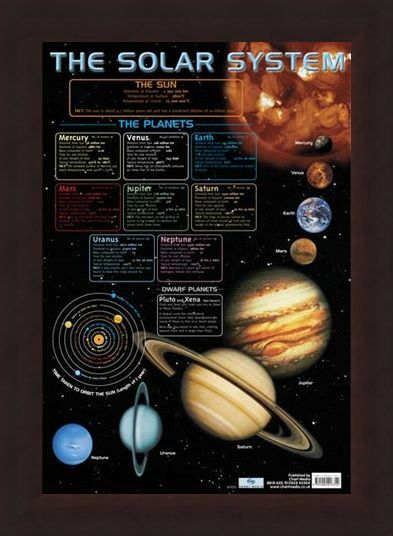 For each planet there is information on it's distance from the sun, diameter at the equator, length of a day on that planet and a unique fact. You may even feel the gravitational pull of the planets as you check out the diagram of their orbit around the sun. 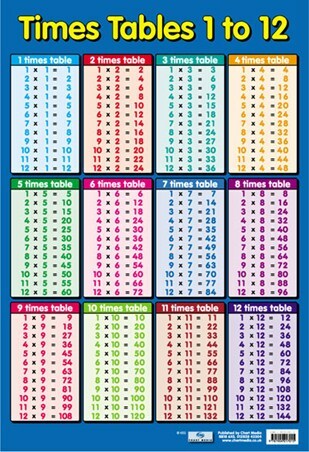 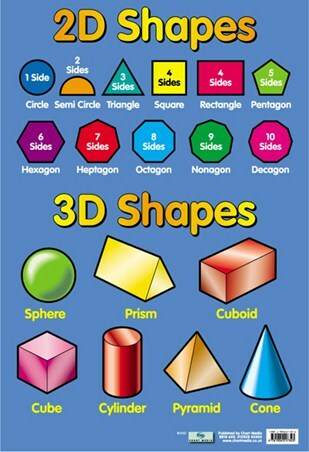 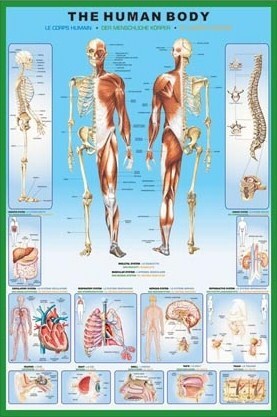 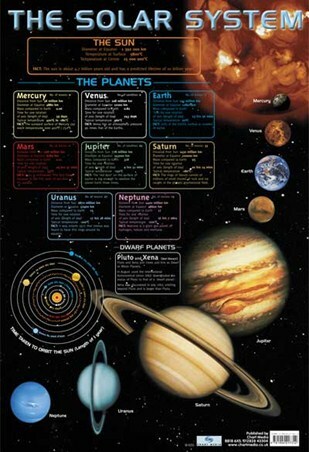 A fantastic, colourful and educational poster for all you space cadets out there. 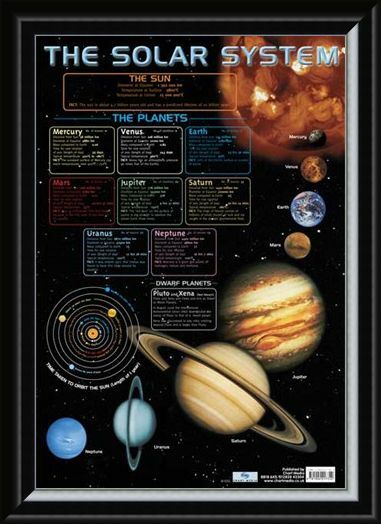 High quality, framed The Solar System, Educational Chart mini poster with a bespoke frame by our custom framing service.